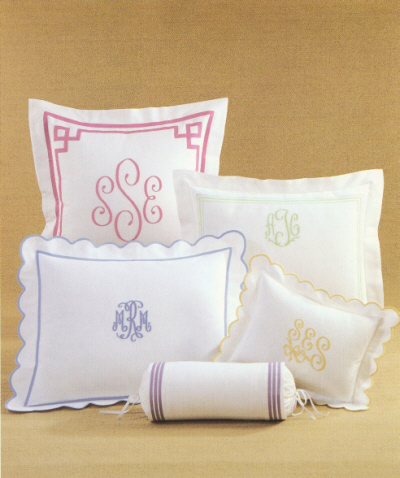 Choose your style of border designs and coordinate with an optional monogram! Custom Product- Allow 6-8 weeks for delivery. Delivery with monogram is approximately 8 - 9 weeks. Prices do not include the monogram. 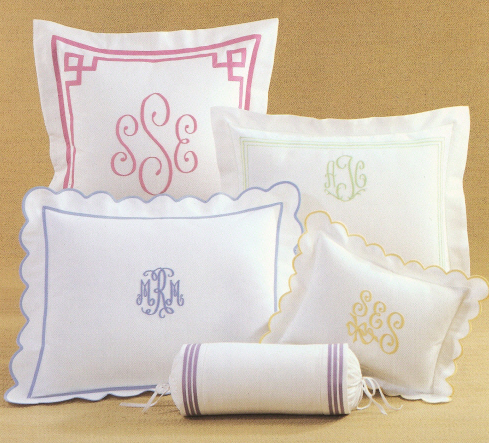 Select your monogram after you have ordered your bed linen items. Pique Coverlets embroidered on Easy Care 50/50 Cotton Polyester. Machine wash cool and low heat to dry.